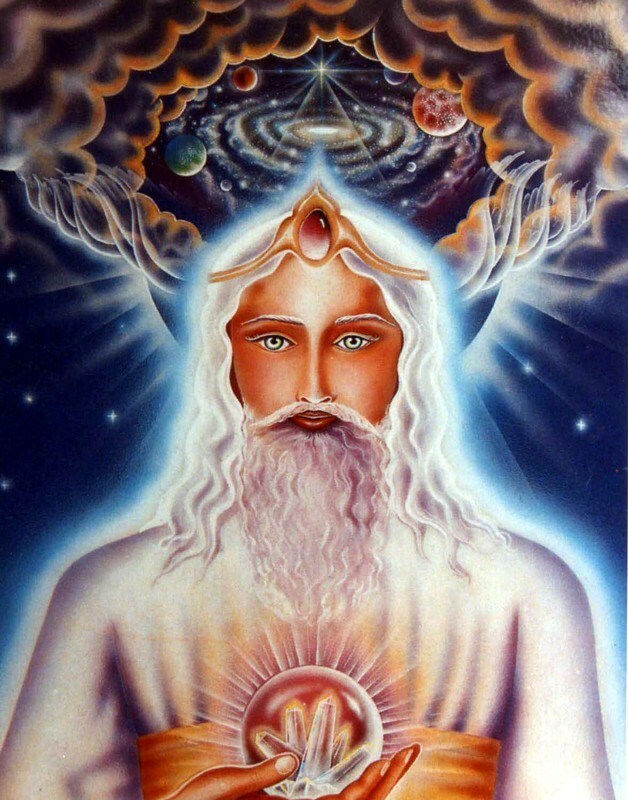 Sanat Kumara, or Raj, as he prefers, is known in the Bible as “the Ancient of days.” He is Earth’s Planetary Logos. Steve begins the interview by asking Raj about Pope Francis. Raj explains the Pope Francis is overlighted by St. Francis of Assisi. St. Francis has not taken over the Pope’s body as a walk-in. An example that I give is that while Jesus conducted his ministry on Earth, he was overlighted by the Universal Christ Spirit. Pope Francis, overlighted by St. Francis, has agreed at the Soul level to take on the responsibility of cleaning up the Church. Though Pope Francis is very humble, Raj says he has a spine of steel. 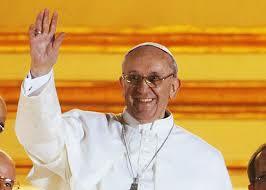 The selection of Pope Francis is a major change signifying the Ascension Process. Catholic or not, we all need to watch as Pope Francis works with St. Francis of Assisi in cleaning up the scandals that have plagued the Church for centuries. 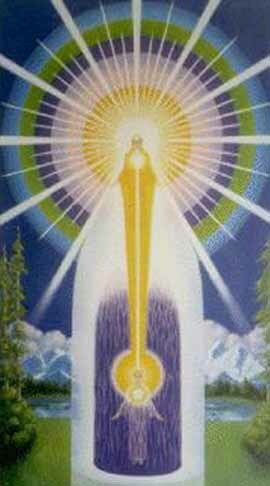 Raj continues the interview by discussing the process of ascension. A very thought provoking hour! Regarding Sanat Kumara’s Contribution to Planet Earth. Earth had descended so low that the Council of Heaven debated allowing it to disintegrate. Sanat volunteered to leave his home planet of Venus and his twin flame, Lady Master Venus, and come to Earth to save it. The story follows. SOMETHING OF ENORMOUS SIGNIFICANCE IS SHORTLY TO COME INTO VIEW. Filed under: Ascended Masters' Teachings, Extraterrestrials, Full Consciousness, Jesus, John Smallman |	Comments Off on SOMETHING OF ENORMOUS SIGNIFICANCE IS SHORTLY TO COME INTO VIEW. YOUR AWAKENING WILL ALLOW YOU TO INTERACT FULLY WITH ALL OF CREATION. We are all one – there is no separation. Your human perception of individuality is caused by the severely limited state of consciousness that you experience, and this makes it extremely difficult for you to perceive very much at all. As individuals, you engage in apparently separate disciplines, areas of interest, of study, of entertainment, of activity, etc. which further emphasize your sense of separation and hide from you the all-encompassing oneness that is your original and eternal state of existence. Your awakening will remove those severe limitations, allowing you to interact fully with all of creation and to offer all your diverse skills and talents to enhance God’s ongoing creative enterprise, in which all participate gloriously and harmoniously. Because of your presently limited state of consciousness, you have only a very slight awareness of your skills and talents as you use them to earn your living or to entertain yourselves, but you are all extremely talented and creative beings, and this will become apparent and will delight you when the illusion dissolves and you are once more able to access the infinite knowledge of the divine realms. To fully partner with God in your creative endeavors is, and always has been, your destiny, and you are shortly to engage with it. Your destiny is your natural state, the state in which God created you as eternal beings always at one with Him. You have never left it; it just seems that you have, and your present ongoing life experience is a distraction – an extremely powerful and enticing one – with which you engage continuously through your bodies and all their senses. Yes, your bodies are powerful, distracting attention-grabbers, and that includes your thought processes and emotions; and it is very difficult for you to withdraw your focus from them for very long because they always seem to have needs requiring your attention – food, drink, exercise, sleep, entertainment, worry, competing, winning, etc. Meditation, quiet relaxation, feeling the earth, the trees, enjoying the beauty of a view or the sunset can help you reach a “non-ordinary” state of consciousness, where the pressures of living in a body can be greatly reduced to the extent that you can become momentarily unaware of it. When that happens, you experience a sense of sublime peace. Most of you have at some time had an experience like this, and you never forget it. For some it is very intense, for others just an extremely peaceful release from the stress of daily living, but it is unforgettable. It is a veiled glimpse of Reality that you would love to experience more frequently and easily, and yet it seems to elude you no matter how hard you try to re-experience it. And of course the trick is not to try, and that too is very difficult. Once experienced, you cannot help yearning for it and looking for it whenever you think that you are close to that inner place in which it occurred. But of course a non-ordinary state of consciousness is really an extremely ordinary state! It is just that because of the distractions of the illusion it is very rarely experienced. The illusion is an all-encompassing environment that demands your constant attention. The thing is that you do not have to respond to those demands. It is incumbent on you to be aware of them, but then you must decide whether or not to comply with them. That is what free will is all about. Far too frequently your ego succeeds in convincing you that as you live in this world it would be foolish, even insane, not to cooperate with it fully – you need to earn your living, sort out your relationships, attend to your children, keep your body in good shape, take out health insurance, not make yourself look a total idiot by trying to be honest in a dishonest world – and its reasoning seems so reasonable. But, deep within yourselves you sense that something about this reasoning is seriously amiss — and you are correct. Everyone experiences dissatisfaction with human existence, and yet you often reason that that is the human condition. But that does not ease your dissatisfaction. You may bury it as you actively work very hard at playing out the hand that you have been dealt. Nevertheless, deep within you there is a sense of anxiety, a sense that you are missing out on something, that there must “please God!” be more to life than this endless struggle to survive. Others do not seem to suffer from this angst, so you dare not discuss it with anyone, and you just soldier on. That inner yearning is your divine wake-up call. It is not a psychotic threat to your sanity. But because you all experience life as separated, individual, you cannot see how others feel, and you worry that you are horribly different from all those basically normal people you see all around you. And when you see someone trapped in some sort of addiction, or homeless on the streets, it confirms for you that the world is a very dangerous place and that you must conform or sink. So you keep your angst to yourselves, as a closely guarded secret. Yes, some of you may enter psychotherapy in the hope of achieving some kind of relief, but you are also aware of people who have spent years in therapy with no obviously beneficial results – they just keep changing therapists – unless they are lucky enough to find someone who is open to deeper discussions of their issues and who will look at them from a spiritual standpoint. So that angst, that dissatisfaction, is your intuition attempting to make contact with you by distracting you from the distractions of the illusion. It feels like an inner conflict between “shoulds,” as part of you feels honor bound to do them and part of you wants freedom from doing them. It is very confusing for you. Keep reminding yourselves that these feelings are to encourage you to spend time quietly, alone, without distractions (phone, TV, children, spouses), when you make a point of not focusing on the anxieties and worries of daily life (it can help to play some soothing music quietly in the background), and just let go! Maybe you will weep, maybe you will laugh, or maybe nothing will apparently occur, but by allowing yourself that time, and by thus honoring yourself, even if only for five minutes during the day, you will strengthen your self-esteem, your God-given right to be yourself (after all, who else can you be? ), and in those minutes your heart will open to accept the constantly offered gift of God’s Love for you – and you will feel it as a moment of peace or of self-validation. You owe yourself that personal, private space every day, because it is where you can find the peace and the stillness you need to strengthen your ability to hold the Light and allow it to burn ever more brightly within you. You are all bright jewels, piercing through the gloom and despondency of the illusion, and showing the way towards awakening. This is your duty and your joy as the divine way-showers that you are, and by making time for yourselves daily, you will experience that joy and know you are on your path doing precisely what you incarnated to do. Others may well try to dissuade you from offering love, compassion, and honesty indiscriminately in every situation. But you know, deep within yourselves, that this is your path, and that just by living it and demonstrating it you are changing the whole world! Filed under: Ascended Masters' Teachings, Ascension, Full Consciousness, John Smallman |	Comments Off on YOUR AWAKENING WILL ALLOW YOU TO INTERACT FULLY WITH ALL OF CREATION. 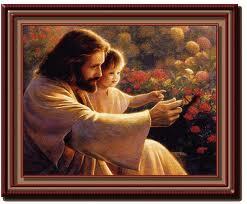 Humanity has been most successfully impregnated with God’s divine Love. The seed was always there, and now the nourishing rain of the divine energy field encircling the Earth is bringing it enthusiastically to life. It has lain dormant for a long time – although it has occasionally been tempted to respond to God’s constant outpouring of Love – because humanity was not ready for the enormous shift in perspective necessary for it to flourish. That has all changed, and the constant nourishment it is receiving from that divine energy field, to which is added humanity’s own intense desire to awaken, has sparked an irreversible chain of events that will culminate in your awakening. From our vantage point in the spiritual realms the view is amazingly beautiful. The brightness of the field of Love enveloping you all is stunning! So much progress has been made in such a short time, compared to the eons during which the illusion held you fast in its thrall, when Reality was hidden from you by the fog of chaos and confusion, prompting your sense of separation which soon enveloped you completely, and cutting off all memories of who you were and where you came from. That fog is dissolving, and already glimpses of Reality are appearing, as integrity, honesty, and transparency start to replace the dissemblance and corruption with which your worldly affairs have been conducted for so long. The old order is crumbling all around you, despite the frantic efforts of those it supports to prevent this from happening, and its demise cannot much longer be prevented. Clement conditions, in which you will live and thrive, will soon be upon you, and you will find that the time during which you have been waiting and hoping for this has been exceptionally well-spent. An environment in which you can thrive and flourish has long been prepared for you; all that remained was for you to embrace it whole-heartedly. And that is what you are now in the process of doing, as you work to release all the unforgiving attitudes and behaviors that have kept you very firmly anchored in the illusion. Reality — the environment towards which you are heading — is Love: a place of peace, harmony, creativity, acceptance, inclusiveness, and cooperation, in which nothing unloving could ever exist, because there is nothing else. Anything unloving is illusory and serves only to hide from your view the wonder of God’s divine and all-encompassing Reality. Because it is illusory, all you have to do is release it, by refusing to play any of the games it attempts to entice you into – fear, anger, judgment, blame, righteousness, victimhood, hate, envy – which are all illusory but nevertheless very damaging concepts that only confuse and distract you from the joy and bliss of living. The illusion is your own collective invention and it is not of God. You built it to prove to yourselves that you had no need of God. And look where it has landed you. You did a great job! It is so convincing, that to you it seems absolutely real — so real that enormous numbers of you believe that it is all that exists, and that is the spiritual realms that are illusory. Your sciences – physics, engineering, mathematics, medicine (pharmacological, surgical, preventative, psychiatric), psychology, etc. – have, for the most part, wholly denied the possibility of anything existing that cannot be measured and sensed through your bodily senses, or through any extensions to those senses, such as microscopes, telescopes, and various other electronic and electrical devices that merely enhance the physical faculties of the human body. Now, however, it is becoming increasingly apparent to those who are willing to be aware that this picture of reality is really quite inadequate, that there most definitely are realms other than the ones to which you have become accustomed to experiencing physically, and that cannot be measured by your scientific instruments. This is a tremendous step forward for you. It means that it is no longer frowned upon to investigate the spiritual realms, although mainstream science still has some problems with this. Once, any scientist who publicly admitted to investigating the possibility of a reality beyond the physical one was promptly disowned and ostracized. That is changing, and those who have the courage to expand their areas of study and investigation beyond the restrictive fields of which mainstream science approves are finally being heard. This growing acceptance by mainstream science of the reality of the spiritual realms is part of humanity’s awakening process. Many people require science to endorse new concepts and beliefs by declaring them scientifically proven before they will accept them. This new and successful scholarly research into spirituality is assisting them to make the necessary changes in their personal beliefs, so that they can embrace spirituality and accept into their hearts the energy of the divine Love field that constantly surrounds you all. 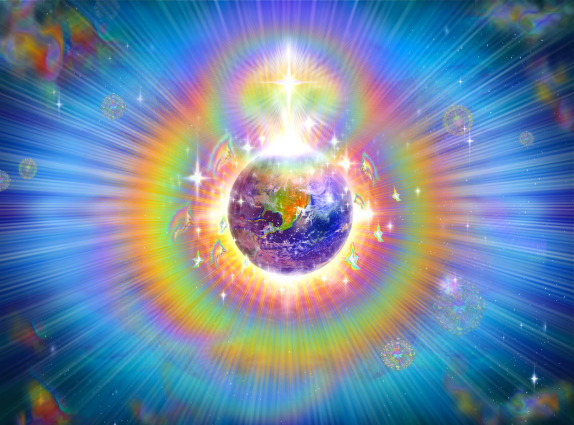 This is truly a wonderful time to be experiencing life on the Earth plane because all the planning that has been leading up to this moment is coming to fruition, and you will all be present to take part in this extraordinary and momentous event. Life is tricky for some of you, as the moment for humanity’s grand awakening approaches. All the personal issues that you have neglected or denied are breaking into your conscious awareness, quite forcibly if necessary, and it can be very unsettling. All you have to do is allow them to present themselves to you. You do not have to do anything with them or about them; they hold an energy that needs to be released because it is causing blockages in your energy fields. Just observe them, experience the feelings they bring up for you — and just observe. They may sit with you for quite a while, possibly being rather painful, but if you allow them, they will pass, leaving you feeling somewhat renewed or freed. This is a time of enormous change in the way humans deal with one another — change that is essential for you to embrace as you prepare to awaken from the nightmare of violence, conflict, suffering, and betrayal that has been endemic on Earth for millennia. Your true nature is Love, because it was from Love that you were created, but your earthly experience has been far removed from that because of the distrust that separation has encouraged and nurtured. The change that is required is for you to see, acknowledge, and then release those attitudes that have served you so ill. Wherever you choose to cast your gaze you can see the enormous damage that these attitudes have been, and still are, causing all over the world, and you can also see how totally ineffective have been your attempts to alter those situations and bring in peace, whether it be in your own families or between nations, when you “declare war on” the issues that you believe need to be addressed. Declaring war on a situation, issue, or problem is to make a decision that others are wrong, you (or “your side”) is right, and that “they” need to be taught a lesson, which will force them into line. And how many lessons has humanity attempted to teach itself over the eons, and with what success? Humanity has collectively decided to change its attitudes and behaviors, and as a result the divine energies pouring down on the planet are intensifying so that you have the strength to “walk your talk” despite the ridicule and contempt that those who hold the reins, and who claim to be wiser and more intelligent, shower on your efforts. They cannot succeed, for it is they who lack wisdom and intelligence and who continue to believe that their righteous and inflexible outlook will win the day. They are riding for a fall, and it will not be long in coming. You, the enlightened ones, insofar as you have finally realized to what a sorry state your old ways have brought you, must accept that the people who have designed, planned, and perpetrated these corrupt and heartless practices are themselves, just like you, beloved children of God. It is therefore incumbent upon you to lay aside any desires to condemn and punish them, and to ensure that any attempt at reprisals against them is contained. Everyone who has ever inhabited the earth plane has at some point behaved atrociously – no one is without stain of sin. Now, with God’s Love flooding the planet, the way forward is through Love, compassion, understanding and forgiveness. Anything else just hurls you back into the morass from which you are so successfully climbing out. It may well be difficult for you to engage completely with these new enlightened ways, but is essential for the awakening process. Knowing this, be the calm, the peace, the compassion, and the Love that your Father has instilled in you. Break the patterns of the old order, and joyfully usher in the new Golden Age for which you have all been longing.